The weather in Sri Lanka is almost always sunny, with the possibility of sudden thundershowers. By and large, the country has tropical weather all year round, with temperatures hovering between 28-32 C (82-89 F), except for the central highlands, with cooler temperatures of 15-18 C (60-64 F). Sri Lanka has a complex weather system that is largely determined by two monsoons – the southwest (or yala) monsoon and the northeast (or maha) monsoon. Interseasonal rains between the two bring showers to most parts of the island. On the west coast, humidity can soar uncomfortably during the buildup to the monsoon in late March and April when blue skies can suddenly turn dark and brooding, bringing short spells of rain. Bring rain gear just in case. The wettest months on the western and southern coasts are between May and early September. Availability is better and crowds are likely to be thin, but the ocean is rough and unsuitable for swimming. It’s worth packing an umbrella or raincoat – and be prepared for short but intense bursts of rain. The southwest monsoon also brings rain to hill country, with an elevated risk of landslides, but again, crowds are much thinner. The busiest time of year to visit hill country is during Avurudu (or Sri Lankan New Year), in mid-April. Off-season on the west coast corresponds with peak season along the east coast. If you’re looking for lazy days on the beach and manageable crowds, it’s worth travelling to this part of the country between May and September. Jaffna, in the island’s arid zone, is dry and sunny for most of the year. The heat can be brutal in April, May, August and September, and the coolest time to visit is between October and January, when the northeast monsoon brings rain to the north and east coasts, and the Cultural Triangle. Islandwide, December to late January sees the lowest temperatures, averaging around 27 C along the coast (80 F), dropping to around 18 C (64 F) in the hills. During peak season from December to March, prices are many times higher and availability of rooms is limited, particularly along the popular beaches of the western and southern coasts and in Nuwara Eliya and the surrounding areas. If you intend to visit the country during this time, make sure you plan well in advance to get the best deals. Sri Lankan culture is deeply hospitable to children, and Sri Lankans will often go out of their way to offer assistance to parents and to make special arrangements for youngsters. Colombo has the most kid-friendly facilities in the country, such as sprawling parks and open spaces, child-friendly restaurants (or those with special children’s menus) and street fairs. However, the rest of the country is fairly adult-oriented, and it may be harder to find facilities for youngsters in small towns. The beaches of the west coast, well-developed eastern spots like Trincomalee and Pasikudah, and wildlife parks across the country, are probably best suited for children. You could also include a couple of train rides in your itinerary for an added thrill. Smaller hotels in the less-popular backwaters may not have such things as infant cots unless they are requested in advance. Check what facilities are available before you book - and if you are travelling with a very young child, it may be a safer bet to stay in a more mainstream hotel. Many established hotels across the country have kids’ menus or would be willing to customise meals for your children, but there are fewer options when you are on the road. Most rest stops will offer rice and curry, or standard options such as fried rice and seafood dishes, along with a small selection of packaged snacks and biscuits. If you have a young child or will be travelling by car for long periods, it is advisable to stock up on snacks and bottled water. On trains, a stream of vendors sell freshly-prepared snacks such as vadai or deep-fried lentil fritters, tapioca chips and tropical fruits. It could be a memorable part of the experience for kids. In general, fresh-off-the-fryer snacks and fruit sliced to order are likely to be safe. Most upmarket, mid-range and boutique hotels have swimming pools, and many will have baby pools for infants and young children to splash about in. Lifeguards are extremely rare, so it’s best not to leave kids alone in the pool unless they are proficient swimmers. In general, the government-run rest houses that are scattered across the country make for excellent pit stops. Most have clean and well-maintained bathrooms (although they may not have changing facilities for babies), and decent restaurants that serve authentic local cuisine. While nappies, baby wipes, baby food and most medicines are available at supermarket chains such as Cargill’s Food City, Keells and Arpico, you’ll need to bring any special items or medicine your child might need for emergencies, or during long road trips. Dengue has become a resurgent epidemic in Sri Lanka in the last couple of years, so come well prepared with mosquito repellent and a foldable mosquito net, if you plan to stay in smaller hotels. Sri Lankan food is often compared to that of South India, and they do share some similarities in terms of ingredients and techniques. But Sri Lankan cuisine has a distinct identity, thanks to the communities and cultures that have shaped the country’s history. Distinguished by simple yet bold flavours and the masterful use of freshly ground spices, Sri Lankan food champions local, seasonal ingredients. Rice, coconut and fish – both fresh and dried – form the building blocks of most dishes, in addition to a variety of tropical fruits, vegetables, seafood and a little meat. These ingredients are rendered into a flavoursome whole by raw and roasted curry powders, which are made from the island’s signature spices, such as cinnamon, cloves, cardamom, black pepper, rampe or pandanus, and fiery red chillies. Shaped by its geography and the abundance of seafood, northern Sri Lankan cuisine is several notches hotter than that of the south. The region’s most iconic dishes, such as the Jaffna crab curry, and Jaffna kool – a signature seafood soup thickened with palmyrah flour – are unabashedly fiery. Unfortunately, these dishes are increasingly hard to find on restaurant menus in Jaffna – after years of isolation, Jaffna is in a greater hurry to embrace international flavours than it is to showcase familiar, home-style cooking. Exploding with restaurants serving an array of international dishes, chic coffee shops, bars and gelaterias, Colombo is the most food-centric city of Sri Lanka. And given that it is sustained by tourism, Galle Fort also has a blossoming food and drink scene. Rice is at the heart of Sri Lankan cooking, and features in one form or another in every meal. It is ground into flour to make appa or hoppers, bowl-shaped, fermented rice crepes that are eaten for breakfast or dinner; idiyappa or string hoppers, steamed noodle cakes that are a morning favourite, and pittu, a steamed rice flour and coconut dish which is a northern staple, and used to make a variety of sweets. Throughout the island, rice-and-curry is the lunch standard. It is a colourful and nutritious meal of steamed red or white rice, served with several vegetable, fish or meat curries. This elaborate and usually homemade meal is tucked into a neat buth packet or rice parcel, which makes it a convenient take-away option for office-goers and travellers. Some curry shops will offer you the luxury of choosing three or four curries to go with the rice. The selection will almost always include parippu or lentils, two or three vegetable curries, a mallung or green salad, and a meat or seafood curry, in addition to condiments such as salted and deep-fried chillies and crunchy pappadum. Other highlights of the cuisine include hot butter cuttlefish (a Sri Lankan-Chinese hybrid of batter-coated cuttlefish rings, flash fried in butter), lamprais (rice, mixed meat curry and condiments, baked together in a banana leaf), and kottu (a beloved street snack made of roti or flatbread, meat and vegetables, all finely chopped on a griddle). In between meals, Sri Lankans have a penchant for snacking on “short eats” – savoury pastries and puffs with egg, vegetable, fish or meat fillings. Sri Lankans have a pronounced sweet tooth. This translates to desserts such as chocolate biscuit pudding (made of alternating layers of milk-soaked biscuits and chocolate cream), watalappan (a rich custard made of eggs, cashew nuts and condensed milk) and sago pudding. The most popular dessert is kiri peni, a creamy buffalo yoghurt, served with a drizzle of kithul treacle, made of the sweet sap of the foxtail palm. If Sri Lanka could have a national drink, it would probably be thambili or the sweet juice of the orange-hued king coconut, which is sold throughout the country. Full of essential minerals, it is a convenient and inexpensive way to stay hydrated in summer. If you’d like something stronger, the country also produces arrack, a distilled alcoholic drink made by fermenting the sap of palm trees. Smooth and similar to rum in flavour, arrack makes for excellent cocktails such as arrack sour, a local twist on the whisky sour with arrack, lemon juice and sugar. Arrack is available in varying degrees of refinement, and makes a great souvenir to take home. Citizens of most countries (except Singapore, the Maldives and Seychelles) require a visa or an Electronic Travel Authorisation (ETA) to visit Sri Lanka. To apply for the ETA, visit www.eta.gov.lk – the official e-visa portal for Sri Lanka – and fill out a brief form. The application is usually processed within a couple of hours or a maximum of one day after it is submitted. The non-refundable cost of a 30-day tourist visa is US $20 for SAARC countries (South Asian Association for Regional Cooperation) and US $35 for non-SAARC countries. You will need to print out your ETA (or have it available on your phone) to show immigration officials before entering Sri Lanka. How much time should I spend in Sri Lanka? Sri Lanka is a small country but if you’re travelling by road, traffic delays can significantly affect travel times. To avoid exhaustion and experience the country in an unhurried way, we recommend spending at least two weeks there. This will allow you enough time to travel inland from the coast to the hills or the Cultural Triangle, and also factor in a few days of rest. The Sri Lankan rupee (LKR / Rs) is the national currency. Most business in Sri Lanka is conducted in rupees, and tourists will use it to pay for public transport, hotels, groceries, meals and entry to most attractions. Although US dollars or UK pounds may occasionally be accepted in larger hotels, the conversion rate is usually far from favourable. The Sri Lankan rupee is not an international currency, so it is best to bring cash with you and exchange it, or withdraw small amounts of money at a time from an ATM. The latter might be smartest as the conversion rate is usually better than the one you will get at a bank or exchange bureau. However, ATMs charge a small fee (usually Rs 200-300; US $1-2) per transaction and a similar foreign exchange transaction fee. They also have daily withdrawal limits that range from Rs 40,000-60,000 (US $260-390), although some banks have higher limits. When changing money it’s best to use a bank or an authorised currency exchange service. Currency exchange services at the airport are convenient but often offer unfavourable rates. Avoid unauthorised or fly-by-night currency exchange services to prevent being scammed. Can I use credit/debit cards in Sri Lanka? International credit and debit cards are accepted at larger businesses, hotels, restaurants, etc. But away from the larger businesses and outside of the bigger towns, Sri Lanka is still a largely cash-based economy, so it is best to always have some rupees with you. Local buses are the most budget-friendly way to get around the country, although you’ll have to be prepared for crowds, occasionally erratic driving, and bumpy roads. The train network serves most of the island, and is a convenient way to travel to the hills or to the far north. But you need to make reservations in advance, especially during peak season. A good tour operator will be able to arrange a car rental. Given that most of the country is now connected by good roads and high-speed expressways, hiring a car is an efficient and comfortable way to get around, particularly if you plan to visit several places during your visit. Although rush hour traffic in Colombo may suggest otherwise, travelling by road in Sri Lanka is mostly safe. However it’s best to avoid winding roads in the hills after dark; rogue bus drivers can occasionally make this a hair-raising experience. Organised tours will use private cars or minivans for small groups, and luxury buses for larger numbers. An organised tour minimises the hassle of battling touts, queuing to buy tickets or bargaining for the best price with local transport providers and tour guides. Whether you opt for a private vehicle or an organised tour, it is likely that your driver will expect a small tip for his services in addition to the pre-decided fee. Pay this only if you are satisfied with the service. Post-war Sri Lanka is remarkably safe, and the high security and paranoia of the conflict years seem a distant memory. Violent crime is extremely rare, and makes waves when it does occur. In Colombo and other cities, take basic precautions such as avoiding flashy jewellery or carrying too much cash. It is advisable for women to avoid hiring tuk-tuks in the street late at night; cab services like Uber, PickMe and Kangaroo are safer options. In smaller cities, isolated beaches and parts of the north that are just getting used to tourists, women travellers should avoid travelling alone at night. 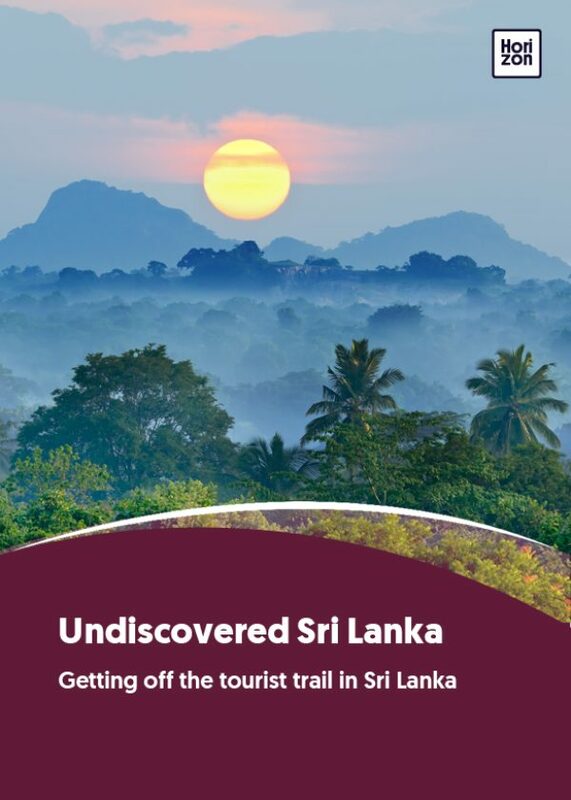 Unfortunately, touts and tuk-tuks masquerading as tour guides abound around many of Sri Lanka’s most famous attractions. Beware of anyone promising to get you free entry or heavy discounts – this is usually a scam. When buying gemstones, insist on a certificate of authenticity. Most reputed stores in Colombo and Galle will offer you one, especially for valuable gems such as sapphires. Buying cut-price gemstones may be a tempting proposition, but it is more than likely that you will be sold a piece of glass. What vaccinations are needed for Sri Lanka? The recommended shots for Sri Lanka are the standard travel vaccinations – tetanus, typhoid and hepatitis A. If you intend to stay for a longer period, your doctor may also suggest vaccinations for rabies and hepatitis B.
Mosquitoes are plentiful (and hungry!) but although malaria is present, the risk of contracting the illness is low in all parts of the island. Antimalarials are not usually required, but make sure you bring precautions such as mosquito repellent or a citronella spray with you. If you are staying in homestays or lower-key accommodation, ask in advance about the availability of a mosquito net, or just bring your own to be safe. Dengue fever has been a widespread problem in Sri Lanka in recent years. There is no vaccine for it, so it’s wise to take precautions such as keeping covered up and using mosquito sprays and repellents, or gentler sticker-patches for children. Most well-known restaurants offer filtered water, but avoid drinking tap water in smaller restaurants or highway stops. Bottled mineral water is widely available, and is generally the safer option. In some tourist areas, fruit juice vendors may offer to use mineral water – this is by far the better choice.